The Alternatives to Violence Project (AVP) began in 1975. An inmate group at Green Haven Prison in New York sought assistance from local Quakers to reduce inmate violence. From this partnership of inmates and Quakers, AVP was born. AVP is in demand in schools, prisons and youth groups, and conducts programs in 35 US states and over 45 countries. AVP has shaped the Reconciliation process in South Africa and in Rwanda. AVP is an experiential program, helping people change their lives. This basic level AVP workshop is an intensive learning experience that teaches interpersonal conflict resolution skills. These experiences in small groups and in one-to-one interactions help build a sense of community. Trust role-plays also provide an opportunity to explore what AVP calls “transforming power” as well as to learn and practice creative ways to respond to real life conflicts in our lives. 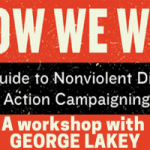 Suggested donation for this two-day workshop is $30. Lunch will be provided both days. TO REGISTER, sign up on Eventbrite or email Jonathan Vogel-Borne at < jvb at thebornes dot org >. The registration deadline is Monday, September 17. Full-time participation is required. On the last Sunday in September the Friends House will host a pair of short workshops on community-level responses to climate change. The first – tailored especially for residents of Beacon Hill but relevant for anyone – will cover basic disaster preparedness, hosted by Larry French, Director for Natural Disaster Operations in Boston for the American Red Cross of Massachusetts. The second will feature a talk on climate justice and natural disaster prevention by our neighbor Muriel Feingold, a grassroots volunteer with Mothers Out Front. We hope to see you there! More information on Facebook and Eventbrite. Contact events@bhfh.org with any questions. 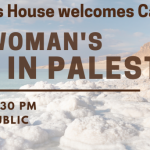 Beacon Hill Friends House and Beacon Hill Friends Meeting are excited to host Adrian Moody, Head of the Ramallah Friends School in Palestine, to talk about Friends United Meeting’s continuing work in Ramallah with the Friends School and how Quakers and others can support this work. Join us for our annual MidSummer Cookout and Open House! 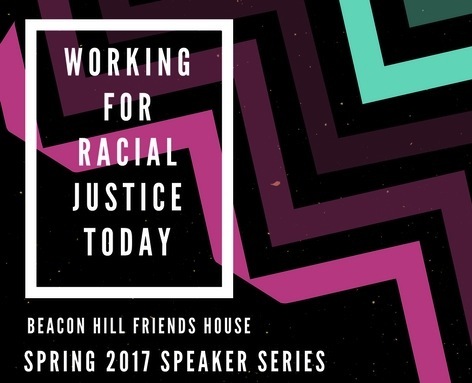 Join us at the Beacon Hill Friends House on the evening of Tuesday, June 19, to hear the Reverend Mariama White-Hammond speak about climate justice — the history of the term, what it requires us of all, and concrete suggestions for how we can all shift in a more just direction as we work to act on climate. Rev. Mariama White-Hammond serves as the Minister for Ecological Justice at Bethel AME Church in Boston and as a fellow with the Green Justice Coalition, a partnership of environmental justice groups. Rev. Mariama is committed to engaging the faith community on social justice issues, and speaks throughout the country and serves on a number of boards and committees including the New England Grassroots Environmental Fund, Union Capital Boston and the Moral Movement Massachusetts. In 2017 she was the MC for both the Boston Women’s March and the Boston People’s Climate Mobilization. Rev. Mariama has received numerous awards including the Barr Fellowship, the Celtics Heroes Among Us, and the Boston NAACP Image Award. 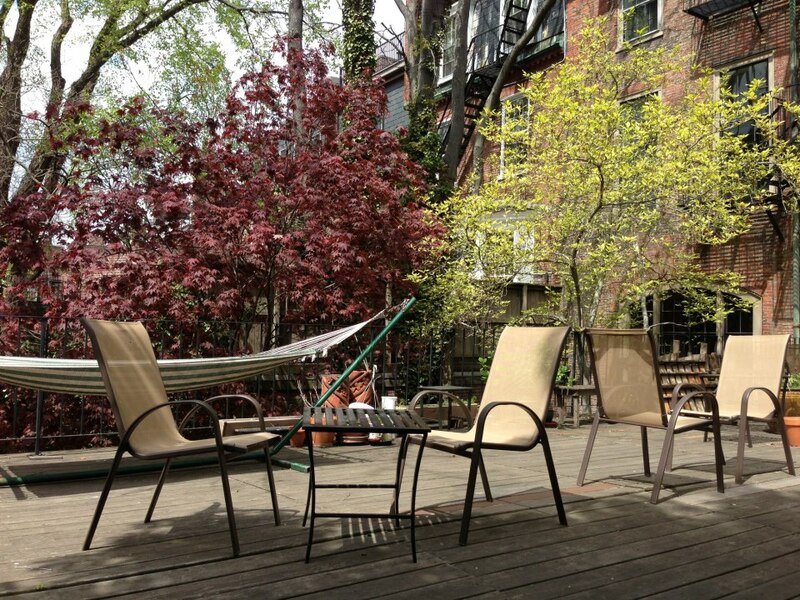 This presentation is part of the Beacon Hill Friends House’s Spring 2018 speaker series, “Living Our Values” – exploring what it means to truly live in alignment with the values we hold. All are welcome. 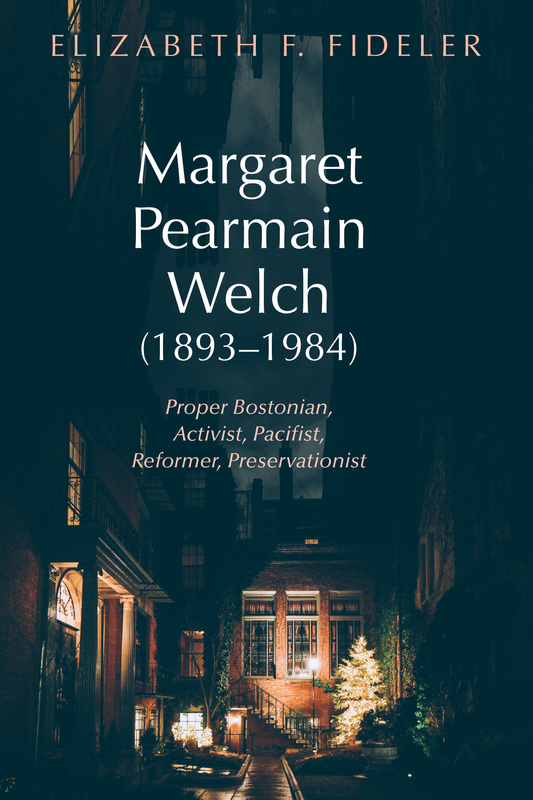 In a bygone era when twentieth-century Proper Bostonians mixed Beacon Hill formalities with countryside pleasures, Margaret Pearmain Welch (1893–1984) – longtime Beacon Hill resident and co-founder of the Friends (Quaker) Meeting near her summer home in Framingham, Massachusetts – defied the mores of her social set and got away with it. She was the epitome of everything expected and much that was scandalous. Margaret was the quintessential socialite who established Waltz Evenings in her Louisburg Square drawing room and also the beauty whose marriages and divorces caused ostracism. At the same time, she worked tirelessly on women’s suffrage, reproductive rights, world peace, environmental protection, monetary reform, land conservation, and more. A descendant of seventeenth-century dissenter Anne Hutchinson and just as independent, she embraced Quaker ideals of religious tolerance, conscientious objection, and civil liberties, as well as worship without the benefit of clergy. 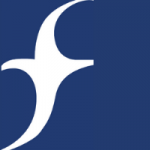 Elizabeth F. Fideler (EdD, Harvard University) is a Research Fellow at Boston College’s Center on Aging and Work. 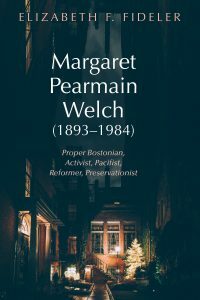 Liz will speak about Margaret Welch and read from her recently published book about Margaret’s life and legacy. Nora saw much unrest and violence in her twelve years in China, but it was only later in Germany, where she witnessed firsthand the rise of the Nazis to power, that Nora’s convictions about what it meant to be a Quaker were fully formed. She would at great risk find the courage to write the truth about Germany, eventually having her work confiscated by the Nazi censors and narrowly escaping the country’s descent into war in 1938. Nora later served in the Friends Ambulance Unit in Britain during World War II and went on to report from the Nuremberg Trials, post-war Japan, and the Korean War. Join Gabe Camacho of the American Friends Service Committee (AFSC) for a discussion of his work to protect immigrants and care for all our neighbors — from defending Temporary Protected Status, to advocating for the Safe Communities Act in Massachusetts, to countering Islamophobia and mass surveillance. Beacon Hill Friends House and Beacon Hill Friends Meeting are coming together with area Quakers to open up the Friends House for respite, worship and Friendship. We will open an hour before the march for those who would like to gather and march together and will remain open till 4pm. Please stop by, grab a cup of tea and say hi! Post-Thanksgiving Food-for-Thought: Tea and Conversation with Pastor Moses Murenga Simiyu, Kakamega Yearly Meeting, Kenya. Tea, cookies, and informal conversation with Moses Murenga Simiyu, a Quaker pastor visiting from Kenya. 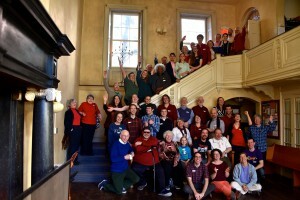 Moses has been a pastor in a “programmed” Quaker meeting (worship more like a typical Protestant service) for the past 25 years, holding leadership positions in the yearly meeting as well as in his local and quarterly meetings. Conversation topics may include Quakerism in Kenya, the programmed tradition of Quakerism, and the Kenyan elections. Saturday, January 21, 2017 was an important day for many reasons, starting with the event that touched the lives of all of us, the Women’s Marches taking place around the nation. 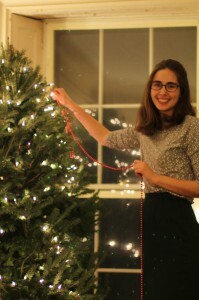 For Beacon Hill Friends House, we also had a seminal Board meeting in which we approved a dynamic three-year strategic plan and, after the march, recent BHFH alum Ali White hosted the first of what we hope to be regular gatherings of local BHFH alumni. The event was wonderful, with approximately twenty-five people in attendance. In addition to sharing community (and good food and drink!) with one another, Interim Director Steve Chase introduced himself and Clerk of Strategic Planning Committee Ben Lynch spoke about the just approved strategic plan. 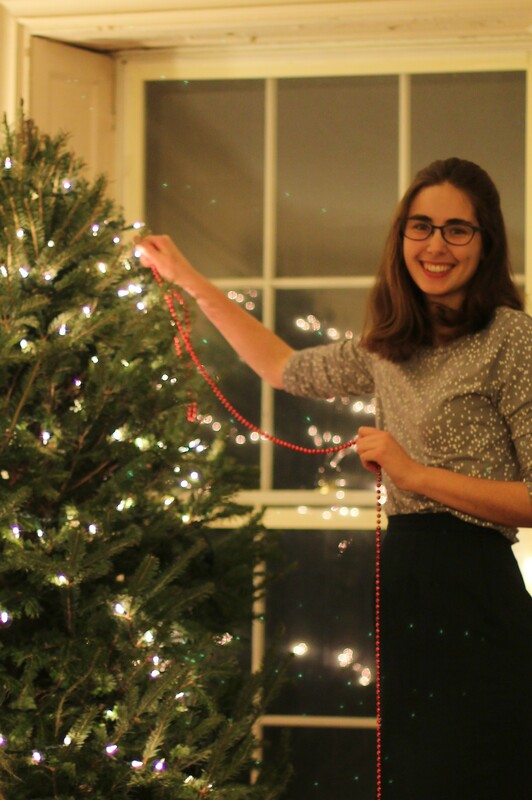 We spoke of the opportunity for alumni to meet regularly not only for social purposes and to learn about BHFH activities, but to perform service projects on behalf of and along with Beacon Hill Friends House. Jared Rubenstein and Ali White are planning our next alumni gathering to do just that. Please contact us if you would like to be part of this exciting community development! Beacon Hill Friends House hosted our annual BHFH Winter Party on December 11, 2016. Current residents, alumni, members of Beacon Hill Friends Meeting Meeting, friends and family all came together on a sunny afternoon in the parlor to enjoy delicious baked sweets, steaming apple cider, and the festive spirit. Additionally, a small holiday recital took place in the meeting room! We would like to thank resident members of the Holiday Party committee who helped decorate, bake, and make it possible. In case you missed it, check out some of the photos. Looking forward to the next one! May 4, 2016: “Immigrants in the Shadows: Realities, Issues, and Struggles of the Workplace” with Diego Low. More info here. April 22, 2015: Parenting as Peacemaker in a Violent World. Frida Berrigan, author of It Runs in the Family: On Being Raised by Radicals and Growing into Rebellious Motherhood, shares at our Wednesday, April 22 program from 7:30-9:00p.m. See this event and more information on Eventbrite. 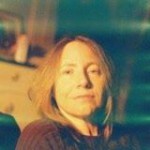 Frida Berrigan is a mother and stepmother, wife and daughter. Her parents, Phil Berrigan and Elizabeth McAlister, were a former priest and nun who became nationwide icons for their prophetic witness against war and nuclear weapons, which sometimes resulted in long jail sentences. Berrigan grew up in Jonah House, the community they helped found in Baltimore, and becoming a parent herself has forced her to come to terms with her own upbringing in new ways. April 1, 2015:The Risk of Sea Level Rise, and What Boston Can Do About It. Julie Wormser, executive director of the Boston Harbor Association, will explore the city’s relationship with the water on its shores in an April 1 discussion at Beacon Hill Friends House. The session, part of BHFH’s series of Wednesday night programs exploring issues of local significance, will run from 7:30 pm to 9 pm. Wormser, a veteran environmentalist who has headed the Harbor Association since 2011, will address the implications of projections of once-a-year flooding of up to 7 percent of the city’s land by 2050 that could become a daily occurrence by 2100. The findings are included in a scientific analysis of the issues, titled Prepping for the Rising Tide, that you can download here: http://tbha.org/preparing-rising-tide-report. She’ll describe solutions employed by various cities around the world, and explore which ones might make sense for Boston. January 7, 2015: Wednesday night program: Preview of the 2015 legislative agenda. Join us at BHFH for a discussion of upcoming legislation, including conversation with State Rep. Jay Livingstone, whose district includes Beacon Hill. Criminal justice is among the particular interests of Rep. Livingstone. Click here for a PDF of an issue of the Beacon Hill Times that features a story about one of Rep. Livingstone’s initiatives (page 12). Karen Schneiderman is a life-long advocate for people with physical and emotional disabilities, currently serving at the Boston Center for Independent Living. She is also a life coach. This First Wednesday talk was an opportunity to hear from a disability rights advocate how the current sidewalk accessibility/curb cut project is connected to larger questions of accessibility on Beacon Hill. It was an opportunity to focus on the access needs of our neighborhood to increase our understanding of the issue. There was space for friendly conversation among attenders, whether they agreed or disagreed with the speaker. 2/5/14: A discussion with Jim O’Connell, M.D., president of Boston Health Care for the Homeless. Click here to read an interview with Jim O’Connell by resident Bill Mitchell. This year’s Weed Memorial Lecture was given by Rachel Stacy on Gospel Ecology: Locating Quakerism throughout the Ecosystem of God. Rachel Stacy explored what it means for Quakers to be “a peculiar people” amidst other religions, cultures, social locations, and world views. What does it mean to be Quaker in the world today? What are our purpose, our place, and our leading? How are we called as Friends to live into – not a hierarchical Kingdom of God – but rather into a complex ecosystem of real relationships, social conflict, and gospel order? The First Annual Midsummer BBQ was held on Saturday, June 22nd. We had a festive open house that included 60+ current residents, alumni, and friends, who gathered to celebrate our time at Beacon Hill Friends House. There was music, games of all kinds, fun with art, along with a bounty of BBQ fare to please every palate. We are looking forward to hosting this fun event next summer and for many summers to come!